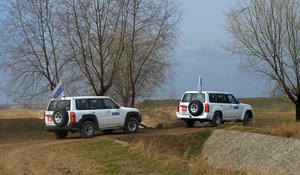 The ceasefire monitoring on the contact line between the Azerbaijani and Armenian troops, in the direction of Azerbaijan’s Aghdam district, held in accordance with the mandate of personal representative of the OSCE chairperson-in-office on March 12, ended without incidents, the Azerbaijani Defense Ministry told Trend. 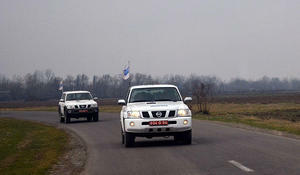 The Office of the Personal Representative of the OSCE Chairperson, in accordance with its mandate, plans to conduct the next ceasefire monitoring on the line of contact (LOC) on March 12 in the direction of the Fizuli district, Trend reports referring to the Defense Ministry of Azerbaijan. 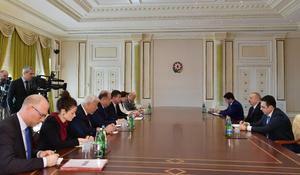 Azerbaijan’s Foreign Minister Elmar Mammadyarov received the delegation headed by the OSCE Chairperson-in-Office, Minister of Foreign and European Affairs of Slovakia Miroslav Lajčák, Trend reports citing Azerbaijan’s Foreign Ministry. 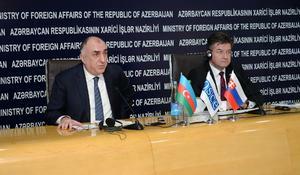 Azerbaijan and the OSCE discussed various important issues, including the settlement of the Armenia-Azerbaijan Nagorno-Karabakh conflict, Azerbaijani Foreign Minister Elmar Mammadyarov said. 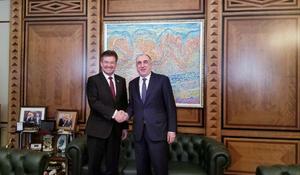 President of Azerbaijan Ilham Aliyev has received a delegation led by OSCE Chairperson-in-Office, Minister of Foreign and European Affairs of Slovakia Miroslav Lajcak. 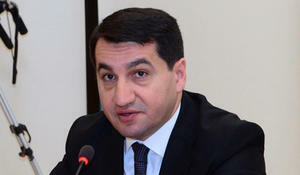 Azerbaijan’s position on the settlement of the Nagorno-Karabakh conflict was once again brought to the attention of the OSCE Minsk Group co-chairs during their visit to the region, said Hikmet Hajiyev, Head of the Foreign Policy Affairs Department of the Azerbaijani Presidential Administration, Trend reports. There’s some hope for positive dynamic in the Nagorno-Karabakh conflict settlement, Trend reports citing Charles Lonsdale, Deputy Director for Policy Support Service at OSCE Conflict Prevention Centre. 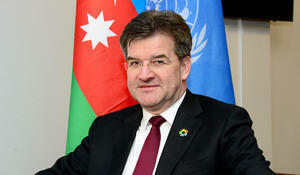 OSCE Chairperson-in-Office, Slovakia’s Minister for Foreign and European Affairs Miroslav Lajcak will visit Azerbaijan and Armenia to discuss the Armenia-Azerbaijan Nagorno-Karabakh conflict. Turkmenistan is scheduled to host a conference on “Countering terrorism financing and organized crime” April 17-18, 2019, which will be organized with the participation of the OSCE, Trend reports with reference to the Turkmen Foreign Ministry.